Processing Time: Item dispatched within 3 business days. 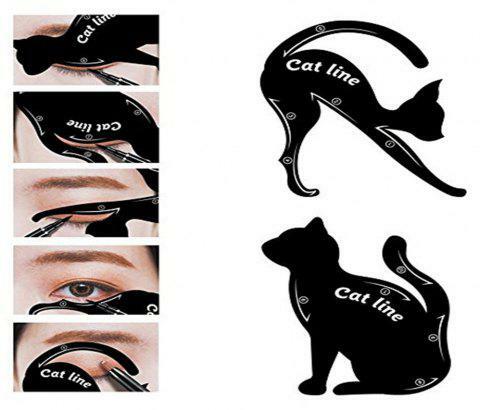 Cute cat style , they are small size and easy hold, you could draw eyeliner or draw eye shadow, each cat have 5 model , you could change style as you want , now draw eyeliner or draw eyeshadow become more easily ! Had to get the hang of holding stencil tights against eye while applying eyeshadow or liner- but once you do it works like a charm! I know this is seen everywhere, but if I had to choose between wish and DL to get these, get it from dress Lily. they actually come with instructions. es ist ein ganz interessantes tool aber etwas schwierig in der Handhabung.